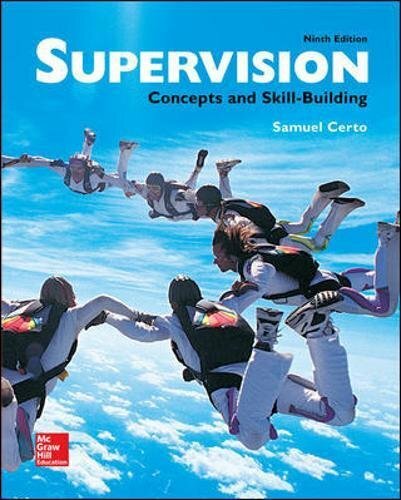 007772061X -Certo’s Supervision: Concepts and Skill-Building 8e prepares students to be supervisors in a challenging modern workplace. It is based on the premise that organizational variables including diversity in the workforce, computer and communication technology, and the design of organization structures are constantly changing. Overall, this text focuses on discussing important supervision concepts and providing fundamental skills necessary for applying these concepts. Students will learn the critical role of a supervisor in an organization and the abilities needed to be successful.